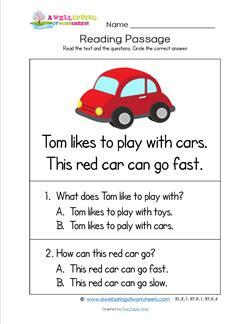 CARS & STARS Plus is a structured reading program that diagnoses student comprehension and then guides teachers to instruct to the level of each student�s ability to improve literacy results.... Cracking Comprehension is a complete primary comprehension resource for years 1-6. Covering all content domains in the new curriculum reading comprehension national tests. The resources are trusted in over 3,000 primary schools and teach inference, deduction, reading stamina. CARS & STARS Plus is a comprehensive package of workbooks and guides aimed to improve literacy results. Each series contains books that cover the ten reading levels (P-H) and give systematic instruction on the 12 comprehension strategies.